George enjoys working with students of all ages. He has taught children as young as four, special needs students, teens, adults, and seniors. Most students take ½ hour private lessons once a week; however other scheduling options are available to suit your needs. In the lessons, you will learn how to read music as well as play your favorite songs. 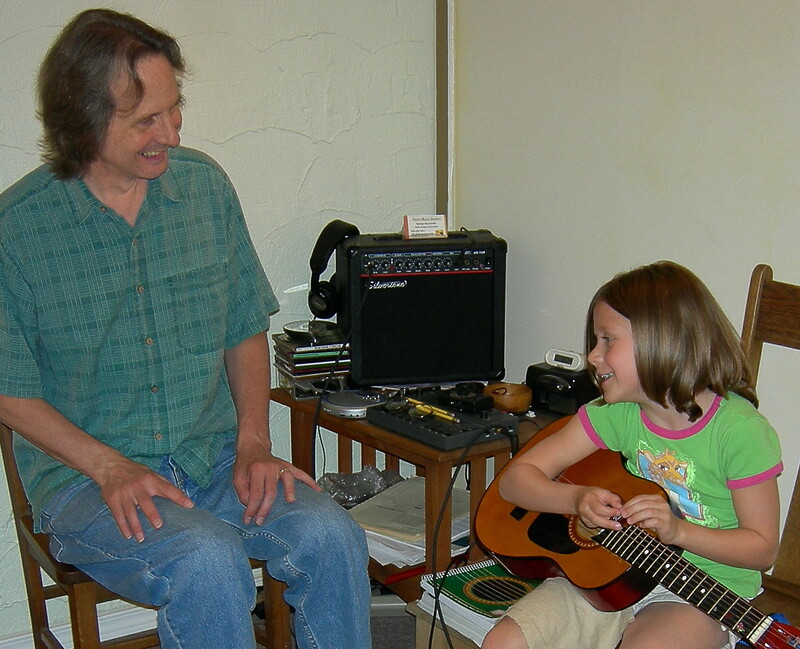 By working with your own individual learning style, George will guide you in building a solid musical foundation with emphasis on the Three T’s – Timing, Tone and Technique, while teaching you how to play the songs and music you love. Through this process he will help you develop effective practice routines. He can also work with you in special areas of interest such as improvisation, song writing, and preparation for performing and playing with others. George can also show you how to change strings and how to setup your equipment to obtain the tone you want.